Office Location: 18 N Main St, Suite 310. Mailing Address: PO Box 768 Driggs, ID 83422. Lynn Bagley is a lifelong resident of Teton Valley with deep roots in the agricultural community. Lynn was a dairy farmer for 30 years and today he farms hay and barley in Victor. Lynn and his wife LeRae have four children who were born and raised in Teton Valley. Lynn has served on the Trail Creek Sprinkler Irrigation Company board for over 20 years, has been a member of the Teton Soil Conservation District Board for 28 years, and is the chair of the Teton Water Users Association. Lynn has previously served on the Victor Planning and Zoning Commission and on the Idaho Association of Conservation Districts Board. 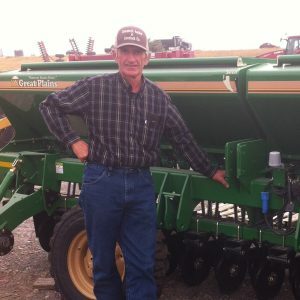 Lynn joined the FTR board in 2018 because he knows how important water is to the agricultural base of the community and is looking forward to bringing FTR and the agricultural community together through common goals. John moved to Teton Valley full time in early 2013 and lives with his wife Kris in Teton Springs. He is retired after spending 43 years in the design and construction of airports and transit systems worldwide. During his career John lived internationally in Seoul Korea, Kuala Lumpur Malaysia and Dubai United Arab Emirates. John and Kris moved to the valley to be near his son Mark and his family and to enjoy the beautiful outdoors and activities in the area. John is an avid golfer when time and weather permit. John was on the board and board chair of the Teton Valley Foundation prior to joining FTR in October 2018. He is currently also on the boards of the Teton Springs Foundation and the Teton Springs HOA. Kevin Bauer has a diverse background spanning over 20 years as an executive, entrepreneur, investor and investment banker in various growth industries. Prior to joining Envoy, Kevin was CEO at American Solar Direct, which was one of the largest and fastest growing residential solar companies in the United States under his leadership. Before American Solar, Kevin was a Co-Founder and Partner at Global H2O Investments, a private equity firm focused on investing in water and wastewater technologies and infrastructure assets. Prior to joining Global H2O, Kevin was CFO of Archimedes Technology Group, an energy technology company that was acquired by General Atomics. Prior to Archimedes, Kevin was a Vice President with Credit Suisse First Boston and Donaldson, Lufkin & Jenrette, executing M&A and capital raising transactions for technology industry clients. Kevin has served on numerous private company boards and is a member of Young President’s Organization (YPO). He is a graduate of the Darden School of Business at the University of Virginia and Washington and Lee University. You can find Kevin in the outdoors on the weekends pursuing some of his hobbies like mountain biking, hiking, fly-fishing, and surfing or coaching his son’s lacrosse team. He lives in San Diego, California with his wife and two sons and considers the Teton Valley in Idaho his second home. Gini Van Siclen has served on the boards of technical societies and nonprofit organizations for many years. To pursue her particular interest in nonprofit governance and capacity building, she earned her Masters of Nonprofit Administration (MNA) at the University of Notre Dame’s Mendoza College of Business in May of 2012. She is a currently Adjunct Faculty in the Environmental Leadership Masters Program at Naropa University, teaching an online survey course on nonprofit management and social entrepreneurship to graduate students, and mentoring many of them as they carry out their applied leadership projects. Gini worked as a project manager and team member in facility, nuclear safety, and waste management for the Idaho National Laboratory and Scientech, Inc. Subsequently, for many years she taught a three-day seminar in risk management for project managers for an international training and consulting firm. In addition to her MNA degree from Notre Dame, Gini has a BA in French from Duke University and an MA in Mathematical Sciences from The Johns Hopkins University. She and her husband, Clint, live in Teton Valley, Idaho, where they enjoy walking their dog, fly fishing, hiking, reading, and especially getting together with their 20-something sons, DeWitt and Arthur. Dr. Jen Pierce is an Associate Professor at Boise State in the Department of Geosciences. Her research focuses on Quaternary geomorphology, Holocene fire history and climate change, recent fire history and climate change, fire and debris flow hazards, carbon storage in soils, and feedbacks among hydrologic, biologic and geologic systems. Jen, her husband Dave, and children Sabine (6) and Annie (4) enjoy spending time at their home in the Teton Valley hiking, biking, skiing and exploring the greater Yellowstone ecosystem. Dean Scheid was born and raised in Ohio. He attended Ohio State University and later served in the United States Army in Africa. Following his service, Dean worked in Minnesota, where he became President and part owner of Lagerquist Elevator Corporation. Dean has been coming to Teton Valley for the past twenty-five years, and he has lived on the Teton River with his wife, Karen, for the past fifteen years. In his spare time, Dean enjoys fly fishing and playing golf. Matt Hively joined Friends of the Teton River in 2017 after graduated with a B.S. in biology from Idaho State University. Born in southwest Ohio, his family moved to Rigby, Idaho in 2000 where he was enthralled by everything Idaho. Growing up surrounded by grade A Idaho water, he developed an obsession for fly fishing and all the places that obsession would take him. As the fisheries technician, Matt is our “boots on the ground” guy for all of FTR’s fisheries and water quality monitoring sites throughout the valley. He directs the Water Quality Monitoring Program and assists with restoration projects. You can find him, or not, out in pursuit of Idaho bull trout and steelhead or with his wife and daughter delivering locally grown microgreens to restaurants in the valley. Since Bill’s first visit to Teton Valley in 1989, he has not been able to stop visiting this amazing oasis of fishing. Bill’s many accomplishments include: Assistant Secretary of the Interior for Fish, Wildlife, and Parks 1985-1988; Deputy Under Secretary of Interior 1981-84 (was the Department’s chief water rights negotiator during this period); Chairman of the Great Lakes Fishery Commission (mid-80’s); Chairman National Wildlife Refuge Centennial Commission 2002-2003; President Falling Spring Greenway 1989-2013; Member National Academy of Sciences Environmental Board 2004-2008; Trout Unlimited National Board of Directors 1992-1995; Trout Unlimited Chapter President (National Capital Chapter) mid – 70’s; presently serve on the Bonefish and Tarpon Trust Board of Directors; author Seasons on the Flats. Avid lifetime angler and resident of Tetonia, ID and Marathon, FL (so I can chase fish year round). Lee Holmes is a long-time Teton Valley property owner and current Idaho resident. He is a retired paper industry manufacturing manager who currently enjoys fishing, golfing, hiking, skiing, and all of the other great activities Teton Valley has to offer. When Lee is not busy enjoying the Valley, he can be found at his home in Tucson, Arizona, traveling, or spending time with his two grown children and four wonderful grandchildren. 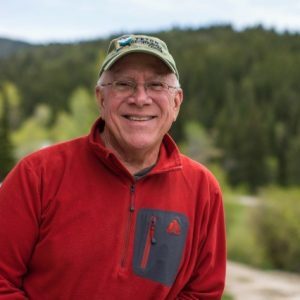 Lee has been supporting Friends of the Teton River for many years, and he is excited to do so now in his role as Secretary of the Board of Directors. Boots Allen is a 26 year senior guide in the Greater Yellowstone area, where he guides 140 plus days on Wyoming’s Snake and Green rivers, Idaho’s South Fork of the Snake River, and the waters of Yellowstone National Park. He is a top scoring guide and angler in numerous competitions, an accomplished custom fly tier, and a writer of many articles appearing in several national fly fishing magazines. After completing his Ph.D from the Population Research Center at the University of Texas, Boots shunned the world of academia and policy work so that he could focus his attention fulltime towards fly fishing. He is a noted speaker at fly fishing events across the country and hosts destination trips around the world. Boots is the author of four books, including Modern Fly Fishing for Trout and Finding Trout in All Conditions. He resides in Victor, Idaho, with his wife, Faith, and two children, Mason and Josie. Mr. Contor grew up in the national parks of the western U.S., and as a young man returned to the farming roots of both his grandfathers. He managed an irrigated row-crop farm in the Willamette Valley of Oregon, rented and then purchased an irrigated hay and grain farm in Howe, Idaho, and had a brief stint as a seed-company fieldman in western Idaho and eastern Oregon. He has worked in the hydrology field since 1996, including seven years in private consulting, ten years with the Idaho Water Resources Research Institute where he served as a research hydrologist, and five years with Idaho Department of Water Resources where he served as a Senior Water Resource Agent. In private consulting, Mr. Contor worked on water-rights transactions and aquifer recharge evaluations, served as an expert witness, and performed environmental site assessments and baseline studies for conservation easements. With the Institute, he served as principal investigator on hydrologic projects as diverse as preparing water budgets for large numerical aquifer models, investigating remote sensing of evapotranspiration on irrigated lands, developing tools to calculate the economic demand for irrigation water, and investigating managed recharge of aquifers. He has published in national peer-reviewed scientific journals and has authored numerous technical completion reports for the Idaho Water Resources Research Institute. At Idaho Department of Water Resource, Mr. Contor measured flow in pipelines and open channels, investigated water-right claims and made water-right recommendations in the Snake River Basin Adjudication. While farming, he served on the board of a small canal company. Mr. Contor holds an M.S. degree in hydrology from the University of Idaho, a B.S degree in agricultural economics from Brigham Young University, and a specialized associate in farm crops management from Ricks College. Amy Verbeten holds a Bachelor of Science in Biology, with a minor in Geology, from the University of Washington, a Master of Arts in Education from Prescott College, and a Colorado State teaching license. Amy has been fortunate to combine her passion for education with her love for the outdoors, teaching hands-on science indoors and out since 1994. She has worked in the classroom as a math and science teacher at Red Canyon High School of Expeditionary Learning in Colorado, and a professor of biology and outdoor education at Colorado Mountain College. While employed at the Stanislaus County Office of Education in California, Amy worked to create and modify state outdoor school standards, and served on a committee to make recommendations on revision of the state Science Framework. She has authored several articles on environmental leadership and curriculum design for the National Outdoor Leadership School. Most recently, as the Youth Programs Director for the Gore Range Natural Science School in Colorado, Amy mentored graduate students in Natural Science Education, and worked with classroom teachers to develop standards-based natural science curriculum. Amy also serves as an advisor for graduate students in Prescott College’s Master of Arts Program in Environmental Studies. Anna Lindstedt graduated from Montana State University-Bozeman in 2002 with a B.S. in anthropology and a love for rivers and the outdoors. After college, she started her non-profit career with the Rocky Mountain Nature Association, and from 2002-2004 she worked in Rocky Mountain National Park, creating a youth service and education program focused on cultivating student’s interest in natural resources conservation careers. Anna began working at FTR in 2004 as the Education and Outreach Director, and has been the Development Director since 2007. She loves living in Teton Valley with her husband, young daughter, and two dogs, and exploring the rivers and ridges in the West. Mike Lien joined Friends of the Teton River in the summer of 2002 as a research associate and currently serves as FTR’s Restoration Director. For the last eight years, Mike has surveyed channel conditions and conducted fisheries assessment projects on the Teton River and its tributaries. Since 2005, he has successfully completed stream restoration and fish screening and passage projects throughout the Teton River watershed. Mike has a B.S. in Forest Resources and Hydrology from the University of Minnesota and was a hydrological technician for 10 years for the U.S. Forest Service in Alaska prior to starting with FTR. A resident of Driggs, Mike enjoys spending a few months each winter surfing at various locations around the globe. Sarah was born and raised in southwest Colorado. After graduating from Colorado College with a degree in Biology and Fort Lewis College with a degree in Business Administration, she attended Lewis and Clark Law School in Portland, Oregon. In her time at Lewis and Clark Law School Sarah was influential in the development of the Lewis and Clark Small Business Legal Clinic, a pro bono law clinic seeking to assist low-income business owners with business transaction legal matters. She was also a member of the Animal Law Journal, serving as Notes and Comments Editor. After law school Sarah accepted a job with a law firm in Montana where she represented a variety of clients in transactional, administrative, and litigation matters. The majority of Sarah’s practice was devoted to the mediation and litigation of water right matters before the Montana Water Court and Department of Natural Resources and Conservation. Sarah began working as the Streamflow Restoration Director for Friends of the Teton River in May of 2010. Zena Wolcott-MacCausland graduated from St. Lawrence University with a B.S. in conservation biology. Soon after college she moved to Idaho to teach for the National Outdoor Leadership School (NOLS). While teaching for NOLS, Zena was able to match her love for exploring wild places with a passion for teaching environmental studies and leadership. In 2014, Zena returned to St. Lawrence University to teach for a college level academic semester focused on place based education and outdoor recreation. After missing the western landscape, Zena returned to the Teton Valley to live year round and joined Friends of the Teton River in 2017. In her free time, you can find Zena outside on her skis, bike, or on foot exploring the Teton River Watershed. Dawn chose to call Idaho her permanent home in 2006, following 17 years of Teton Valley being a family vacation spot from the corporate rat-race of Minneapolis, MN. Prior to nearly 10 years as the executive assistant to the Teton County Commissioners, she worked for Thrivent Financial and Dayton, Hudson, Marshall Field’s Travel Department. Dawn brings community insight and financial and marketing experience to the FTR front office. When not working, you can find her volunteering and taking advantage of the valley’s cultural and recreational spirit. Sign up to receive our e-newsletter. Become a member to receive print newsletters and our annual report by mail. Chris “Jigidy” Jensen found himself in Teton Valley in 2001 after many years guiding on South Fork, Henry’s Fork and Teton Rivers. Chris was born in Idaho and grew up in Salt Lake City. He was lucky enough to spend summers in Idaho as a kid and after graduating with a degree in Environmental Studies from the University of Utah he moved to Idaho full time. You can still find Chris on the river fishing for fun and occasionally guiding a client turned lifelong friend. He works in digital marketing and e-commerce from his home. He’s excited to be working hard and raising a family here in the valley.